A lot of people don't know this about me, but I love gaming. Granted, I'm not what I would deem to be a "gamer," but I do enjoy a good first-person shooter like Half Life, Halo, or - most recently - Mass Effect. 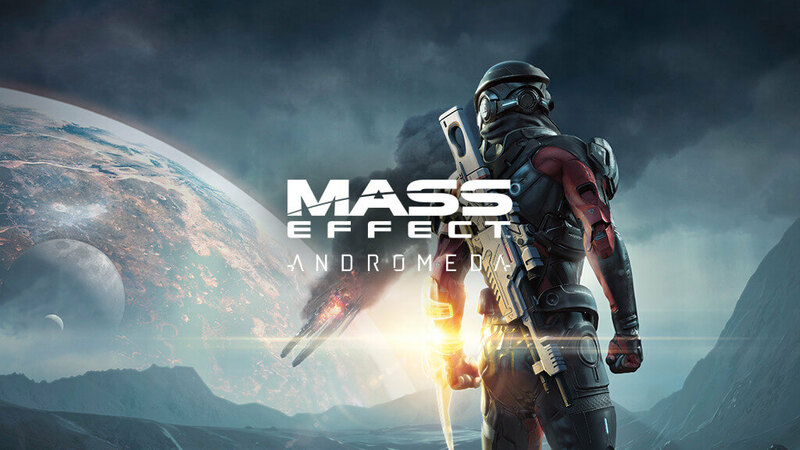 For those of you who are in tune with the world of gaming, I'm sure you most likely know about the release of Mass Effect's newest installment in their franchise: Andromeda. I've been playing since back in 2007 and am a die-hard Mass Effect fan, even after the last 2 installments. Then again, I am relatively easy to please, so it's difficult to get me off the bandwagon unless you do something utterly and wholly terrible. I won't lie and say that Bioware didn't seem to try its damnedest to push me off from time to time (the ending of the 3rd installment was rough, y'all), but I held on, clinging to the storytelling and intriguing characters and open-world setup. And so it remains. Was Andromeda awful? No. Was it amazing? Also no. Now, a lot of people were getting really upset about some weird graphics that were going on, but I honestly didn't find them too off-putting. Sure, there were some weird facial expressions, missing or weirdly functioning eyelids, and maybe even some syncing problems, but it wasn't enough to warrant the extreme reactions that popped up all over the interwebz. Not only that, but I firmly believe that the voice acting more than made up for the stilted facial expressions. I am aware that I am a much less visual person than most, so quality voice acting is what made me happy here. Props to the audio department and the voice actors. There was also a distinct downgrade in the writing for this iteration of the franchise. Again, it wasn't awful, but it wasn't as brilliant as previous installments had been. The snappiness, clarity, and purpose were a bit muddied throughout, and it left the whole game feeling a bit fuzzy in its delivery. And it's not the kind of fuzzy that is paired with warmth. There were also some side-quests that glitched out, thereby making it impossible to complete. It even happened with one of the main missions at one point, and I had to load a previous auto-save, hoping that it didn't happen again. Luckily, it didn't. All of that being said, I did enjoy the game. I don't feel led, at the moment, to play it again, but who knows what will happen later? Perhaps I'll revisit it out of nostalgia, and perhaps at that time they'll have released some patches to clear up the bugs and weird graphics. Have you played Mass Effect: Andromeda yet? What did you think?